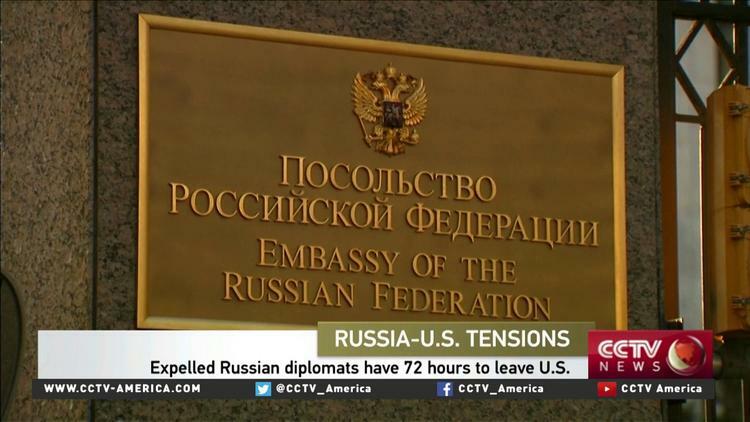 The Russian diplomats will have 72 hours to leave the United States. The United States’ new sanctions against Russia prove the foreign policy of the Obama administration is “aggressive,” Dmitry Peskov, the Kremlin press-secretary, said Thursday, as the Kremlin indicated retaliatory measures against Washington. “In our point of view such actions of the U.S. current administration are a manifestation of an unpredictable and even aggressive foreign policy,” Peskov told the media. “We consider this decision and these sanctions unjustified and illegal under international law,” he added. The United States expelled 35 Russian diplomats and closed two Russian compounds in New York and Maryland on Thursday in response to an alleged campaign of harassment against American diplomats in Moscow. The move against the diplomats from the Russian Embassy in Washington and consulate in San Francisco is part of a series of actions announced on Thursday to punish Russia for its supposed campaign of intimidation and interference in the U.S. election. A senior US official told Reuters the Russians have 72 hours to leave the United States. According to Vladimir Dzhabarov, the deputy chairman of foreign policy committee of the Russian parliament’s upper house, Russia will respond to the sanctions. “You realize, of course, reciprocal steps will be made and the U.S. embassy in Moscow and, quite possibly, the consulates will be cut down to size as well,” he told Russian news agency TASS. In contrast to the move by Obama, Donald Trump, who takes office on Jan. 20, has called for better relations with Russia. It is not clear whether he will be able to immediately overturn the measures announced Thursday.